At this time of year, we are more likely to turn to yarns with cotton, bamboo or linen fibres for their light airy qualities. However, the characteristics of these fibres that give the yarns these qualities can give us problems if we don’t care for them properly. The biggest issue with washing garments using these plant sourced fibres is that they may stretch and drop – as anyone who has hung a wet knitted summer top on the washing line in a breeze is likely to have discovered . This is because with plant fibres like cotton, bamboo and linen, the individual fibres don’t cling together like they do in wool, so can slip against each other causing the fabric to stretch. How much this happen will depend on what combination of fibres are in your yarn and how it has been spun but it is always worth thinking about. As with any yarn, the first step in its washing and care is to read your yarn label which will usually include some washing instructions. Then to see how it takes to washing, use your tension swatch to test your planned washing and drying method. Treat your knits gently as you wash them, but this doesn’t mean avoiding machine washing altogether. 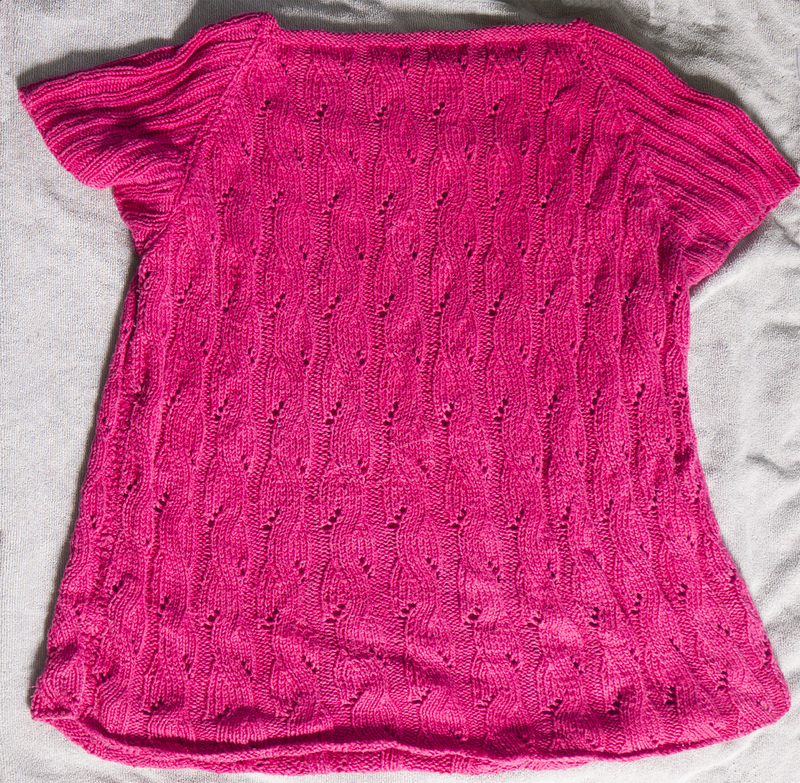 If your yarn is machine washable, check out our tips on putting knits in the washing machine here. Once your knits have been washed, roll them in a clean towel to squeeze out excess water – never wring or twist them. Then lay them out on a clean dry towel on a flat surface and spread them gently to the correct size. Don’t pull harshly into shape because this could cause stretching and leave to dry naturally. Be patient, it will be better for your knitted items. Store in a drawer rather than hanging up to further reduce the risk of stretching.